Let us fill this Monday up with happy memories and happy pictures from smiling happy faces of islanders from Bantayan Island in Cebu, Philippines. 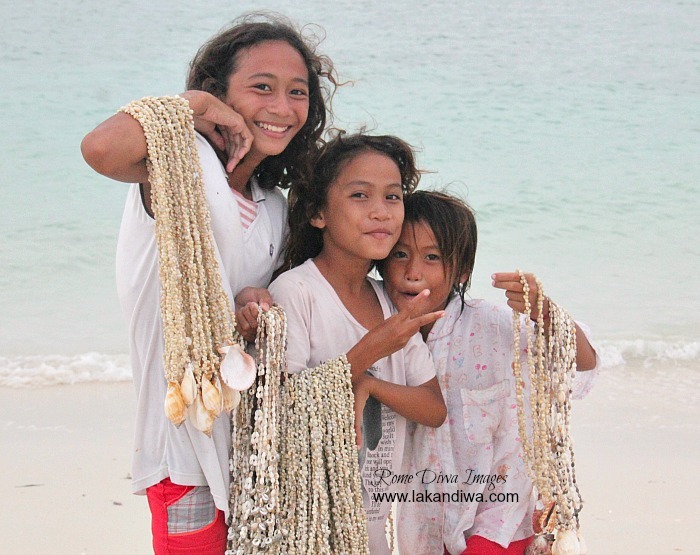 These three little girls, despite economic and social challenges are some of the most hospitable and friendliest people I have come across Bantayan Island couple of summers ago. 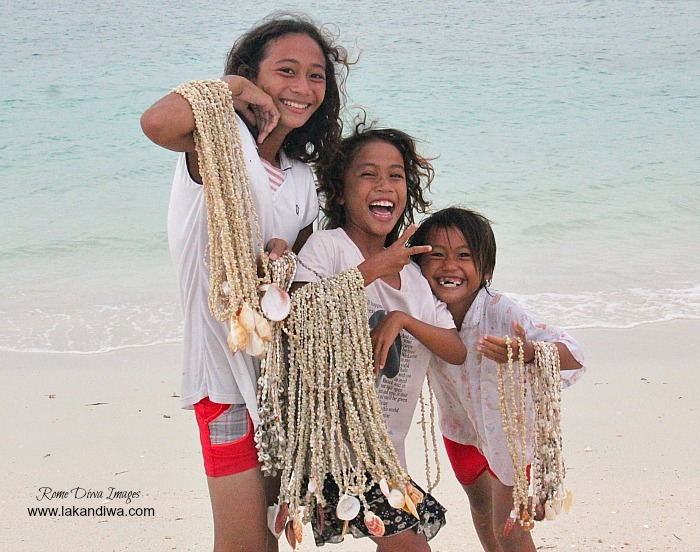 They were patiently waiting on the Kota shore waving at us and all smiles as we arrived from whole day of swimming at the nearby Virgin Island, hoping for a chance to sell some of their seashell garlands. "Maayong Hapon!" gleefully greeting us Good Afternoon in Cebuano Dialect. Armed with my old Canon EOS 550D I took several shots while my companions were browsing and shopping through their goods. It's more amazing to be at that exact time than just looking at the pictures of locals surrounded by paradise living such simple, uncomplicated way of life far from the 'traditional' life in the Metro I now called normal and been trying to survive or perhaps at that moment, escape. Back to this fast-paced everyday life overwhelmed by combination of correctness, inclusion, and too many people who simply don't care. I was thinking, do they know how lucky they are... I doubt if they would swap it for mine. Although their lives are very different from my city life, I sensed full and genuine happiness through their eyes that speak invaluable contentment. I asked myself, When was the last time you smiled that channeled through your eyes? People are not that different after all. Generally speaking comparing their world to mine, we are all striving for same thing, no matter how rich or poor, regardless of social and economic situation. Majority of us are motivated to have a better life to provide for our families and love ones. Let us choose to be happy in finding the niche of our lives. Happy Monday, Cheers!